This example is going to create a webhook that you can connect to your Typeform that will notify you whenever someone completes the form. 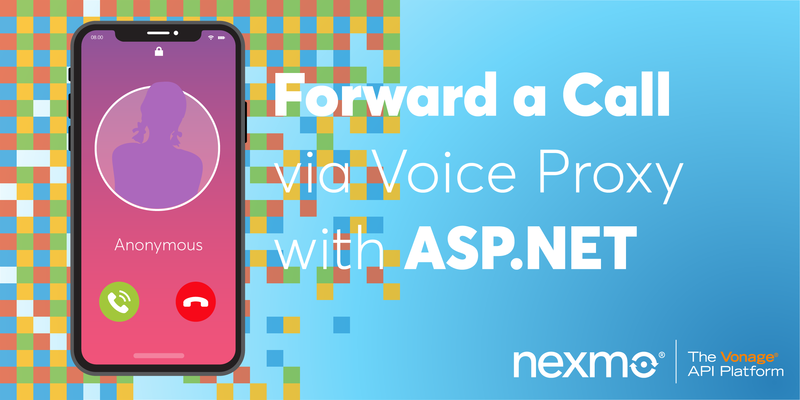 We’ll use the Nexmo Messages API to send an SMS message with the date and link to view the response. You can download and run this code for yourself from the nexmo-community/nexmo-typeform-sms respository on GitHub. The code for this example is built using Node.js and the hapi framework. It will work on Node.js version 8.9.0 or above. You can check your version of Node by running node -v on your command line. If the number is 8.9.0 or higher then you’re good to go. If it isn’t then please use an older version of hapi. In order to receive an incoming webhook from Typeform, you need to have an application set up with at least one POST route. We’ll start by building a basic application with a POST route. Hapi is a simple to use configuration-centric framework. It enables developers to focus on writing reusable application logic instead of spending time building infrastructure. I like it because it has built-in support for input validation, caching, authentication, and other essential facilities for building web and services applications. We’ll create the main file for the application by adding a new file in your root directory called index.js. This is going to be our webhook server. Set up a new Messages & Dispatch application via the Nexmo Dashboard. 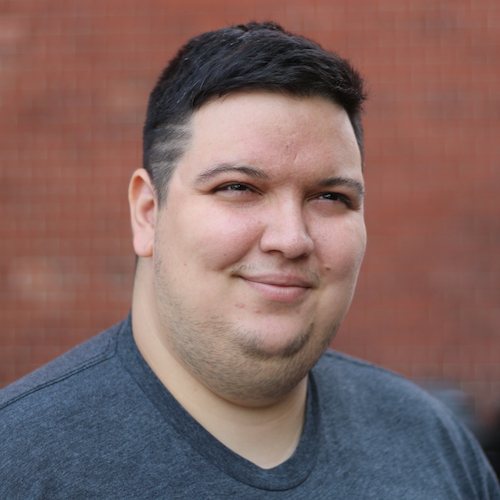 You don’t need an inbound or status webhook for the purpose of this blog post, so you can use http://example.com in those fields. Remember to also click the Generate public/private key pair link. This will download a file called private.key. Locate the private.key file on your system and move it to the root folder for your application. Finalise the app set up by clicking the Create Application button and you’re done with config. Make a note of your Application ID, you’ll need it in the next step. 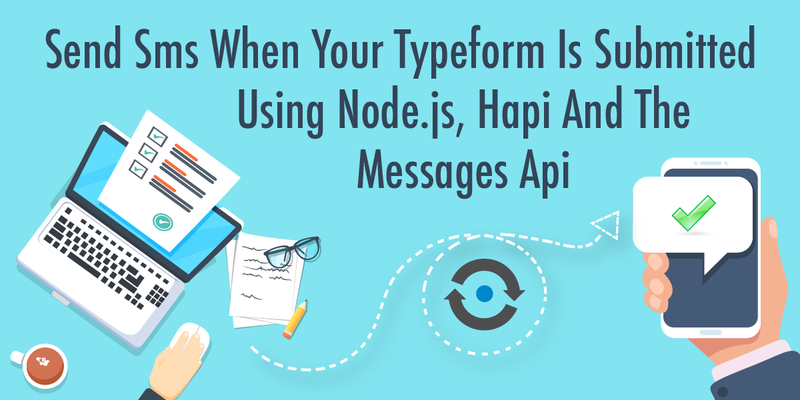 The final part in this blog post is to take the request that Typeform makes and send a SMS message with the data inside. 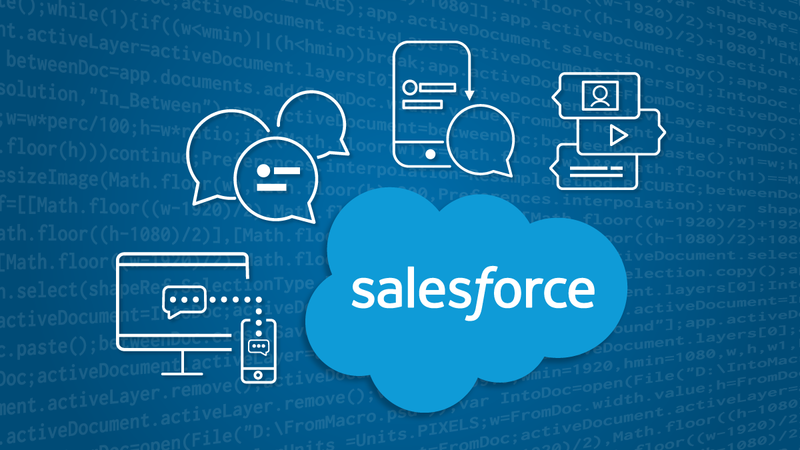 The Nexmo Messages API will handle all of this for us. We’ll use the Nexmo Node JS Client Library to send the SMS. If you’re following along, you installed the library when we created the skeleton application, now you have to require it in the index.js file and initialize the Nexmo instance with your API key and secret, the Application ID from the previous steps and the path to the private.key you downloaded when you created your Messages & Dispatch Application. Use Ngrok to open up this port to the world and make note of the URLs it produces for you. Here is a handy guide to working with Ngrok if you haven’t used it before. 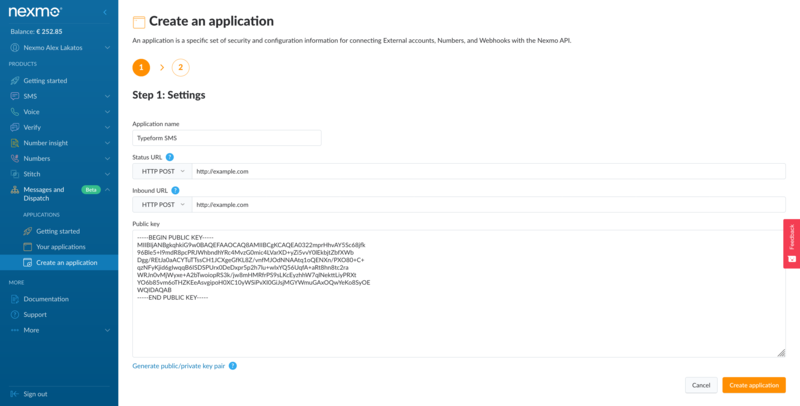 We’ve finished our webhook, so now it’s time to connect it to a Typeform. If you need help doing this, there is a really good article in their help section that shows you how to connect a webhook to your typeform. Use the ngrok URL you just got from the command above instead of pastebin for the destination URL in the typeform guide. 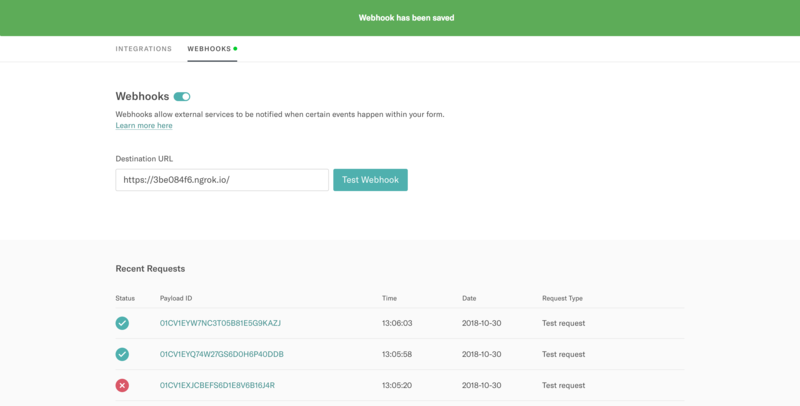 As soon as you click Test Webhook to see it’s working, you’ll receive an SMS message with the details. 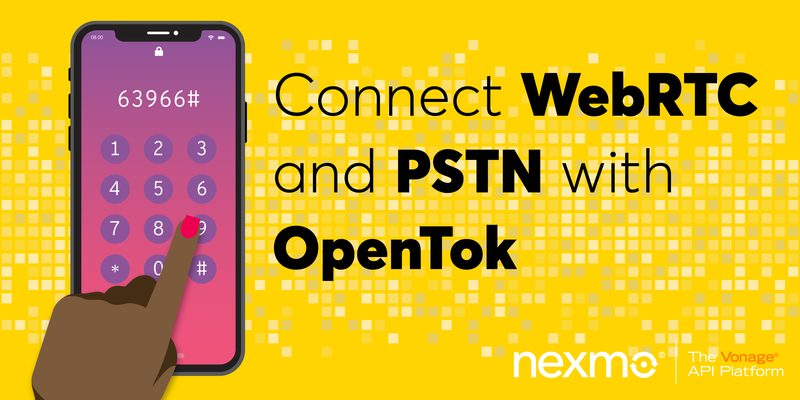 We’ve used a hapi server to setup a webhook that’s connected to a Typeform, which sends a SMS message using the Nexmo Messages API whenever a user completes the form. You could do even more, for example send out each response in the form via SMS or even use Facebook Messenger to complete the Typeform.